A loud and dirty welcome to the Motorstorm Apocalypse Festival of Carnage! The Festival of Carnage is a multiplayer Community Event for Motorstorm Apocalypse, featuring various events and vehicle classes. 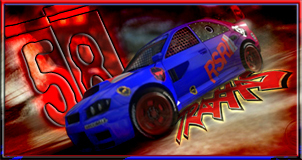 Every week, Lunatics will unite to face off in an assortment of modes which may vary from classic races, to vehicle showdowns, and even mirrored racing. Check back often for the latest on the weeks events. The races will start every Wednesday at 8pm GMT. In order to join the event just add NumskullHelmets (Our sponsor) to your Friends List. All races will be held in a private room, so adding is a must. Rooms will open at 7.30pm, but races wont start until 8pm. The sessions will last roughly 2 hours and you are welcome to join and leave at any time. Betting and perks will be turned off in order to keep the room fair, and to speed things along slightly. Mics and headsets are welcome, but a chat room will be set up for those without. Whilst Motorstorm can be a game of aggression and banter is encouraged, there will be no tolerance for offensive behaviour. Announcements for the events will be added to the thread and posted on my twitter feed @Kegs11. Also feel free to ask any questions and send suggestions either here or through twitter. Feedback is always appreciated! So whether you are a long time Stormer in need of a regular 4x4gasm, or a fresh faced rookie new to the series, all are welcome regardless of skill. Hope to see you there! This event will be held on Tuesday the 14th February, at 8pm as above. As an extra notice, clicking my signature will link directly to this thread. Bummer on a weekday. Can you make one for the weekend? If the event gains enough momentum then I may consider hosting an event on Sundays at a time that hopefully the Americans and maybe a few of the Aussies could join. Its early days yet, but this could be a possibility. To clarify, NumskullHelmets is my alternate account as my main account is running out of room to add friends, so it was much easier to create a new account with a clear friends list. Bummer :xCry: on a weekday. Can you make one for the weekend? i'll not be joining this week, i'm at work :( if i'm off the week after, sure! OMG CEK strayed over onto the EU forum! A huge, huge thanks to everyone who made it tonight, you guys rocked! Keep an eye on this topic, I will be devising some ideas for next Tuesday, and will let you know as soon as I`m happy with them. As long as no one needs luvvin' next week, I'll certainly turn up :D! This week in the Festival of Carnage, its a vehicle grudge match! In one corner, we have the buggies- Small, nimble, agile. In the other, we have the Mudpluggers- Massive, lumbering, destructive! Once again, the Pluggers are throwing down the gauntlet, this time in the ruined Streets of Apocalypse. Newcomers to the event are more than welcome, just add the PSN ID NumskullHelmets (my 2nd account) Attendees from last week shouldnt need to do anything, except turn up and enjoy the mayhem! Mics are welcome and a chat room will be open for all.